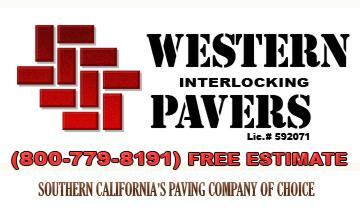 INSTALL- IT -DIRECT "Best Price & Value Guaranteed"
Pavers, Synthetic Turf, Retaining Walls, Fire Pits, BBQ Islands, & more. La Jolla, California. CA License # 939111 - San Diego, Orange County, Riverside County, Los Angeles. Interlocking stone paving that stands up and stands out. Retaining walls, patios, driveways, pool deck & stamped concrete. Irvine, Orange, Riverside, Inland Empire & LA counties. Create your own residential or commercial tropical paradise. Fine-Custom Outdoor Building Projects. Decks, Patios, and Landscape Structures. MAISON BERTET Luxury you can afford. Los Angles & El Segundo, California. RESORT Cabanas from EIDE INDUSTRIES INC.
Made in the USA, maximizing your property’s visual cachet. 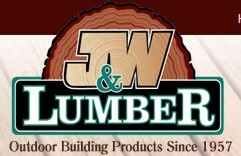 Outdoor Building Products. Shipped anywhere in the continental USA. Compare design quality, craftsmanship and costs. reclaimed Spanish tile and hand painted fountains imported from Spain. Certified Shipping to Arizona, California, Nevada, Texas, Florida. 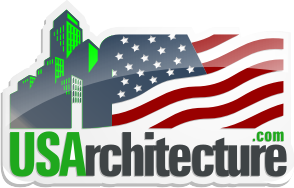 Designer and manufacturer of automatic and retractable roofs & operable skylights. Decks, railings, park amenities, play ground equipment, patio furniture, signage and structural lumber. Design and construction of commercial and residential swimming pools and patio landscapes. 20 California Locations, Phoenix & Tucson, Arizona. Hand Crafted furniture from reclaimed materials. Craftsmen and consultants of architectural concrete. All Deck Products Environmental Coating System Inc. Decorative stencils & finishes, sports floors & sure footing. Environmental barriers, surface levelers & underlayments. Natural slate products for roofing, flooring, walls, walks & roads. Wholesale Suppliers of Natural Stone Products in Southern California. Outdoor furniture for gardens, patios and porches. 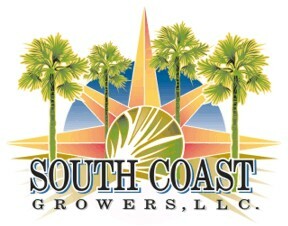 Southern California's favorite replacement window & door company. Anaheim, Irvine, South Bay, Ontario, Escondido & Riverside, California. Home of the Award Winning "Endura" Flap Line of Ultra High Performance Pet Doors. Luxurious, state of the art architectural concrete. Innovative high-performance asphalt paving & architectural finish. Comprehensive planning and design services for private, commercial and public clients. Engineered systems for coloring, texturing & performance in architectural concrete. quality products built for construction professionals. Shades Suppliers and installers of premium protection systems. Caststone Design & Development LLC. architectural detail, planters, pool coping, wallcap and more. Hugh selection and professional installation. AAMA certified installers - Servicing all areas from Los Angeles to San Diego. San Diego, Orange, Riverside and San Bernardino counties, California. Free estimates and designs for all budgets. Manufacturer of WetSuit Roofing & Waterproofing Coating System. WetSuit is a seamless, spray applied, instant cure, waterbased coating. Furniture and accessories for home and commercial bars. BAR STOOLS, COUNTER STOOLS, BAR TABLES, COUNTER TABLES, RACKS & CABINETS. Monterey Ceramic Tile & Marble Inc.
Bath, Floor, Kitchen, Pool & Patio. Distinctive tiles, moldings & boarders. Custom hand rail, infill panels. guard rail, modular systems & custom applications. Dependable suppliers of products, services and solutions to the construction market. North America's largest manufacturer and distributor of fencing materials. Manufacture of custom lighting. An extensive line of specification grade architectural fixtures. Nana Wall Systems, Inc. "Brining the Outdoor In"
restaurants, hotels, showrooms, schools and stadiums. Leaders in stucco enhancement technologies. Retaining walls, pavers, brick, block, fence and wall systems. domestic and French architectural stone, and domestic sandstone products. treegrates, benches, tables, garden furniture, fountains and ornamental Perimeter Security. Commercial, Industrial, Apartment repaints, Hospitals & Hotels. Orange County &San Diego, California. and custom items to suit your design and building needs. landscape installation and paving stone installation services. San Diego County, Orange County, Los Angeles County, and the Inland Empire! Award-winning projects, residential, retail, commercial, education facilities, resorts and more.